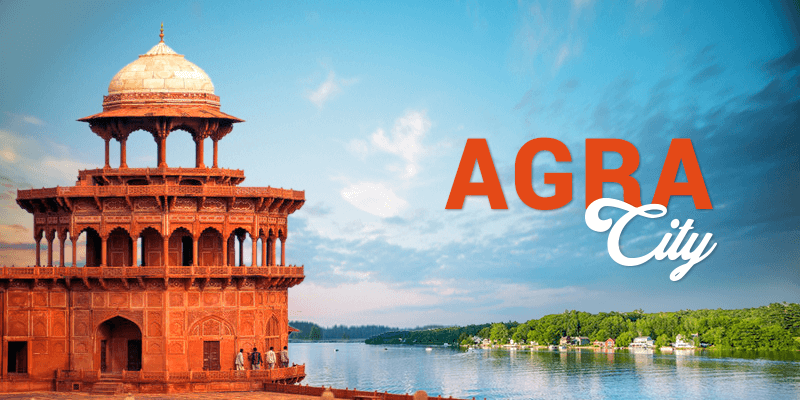 Home Travel Viewing the Mughal splendors in Agra city! Agra is undoubtedly one of the most visited tourist destinations in the country. 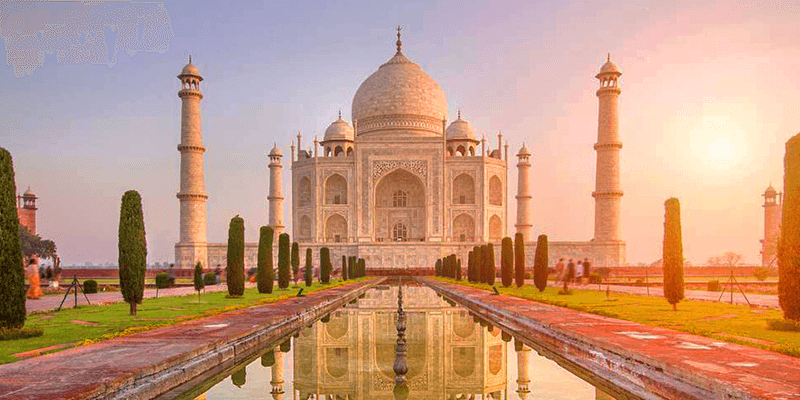 While Taj Mahal, with its unparalleled beauty, is the most popular among places to visit in Agra; the city is filled with many other monuments that are very beautiful when it comes to architecture and aura. 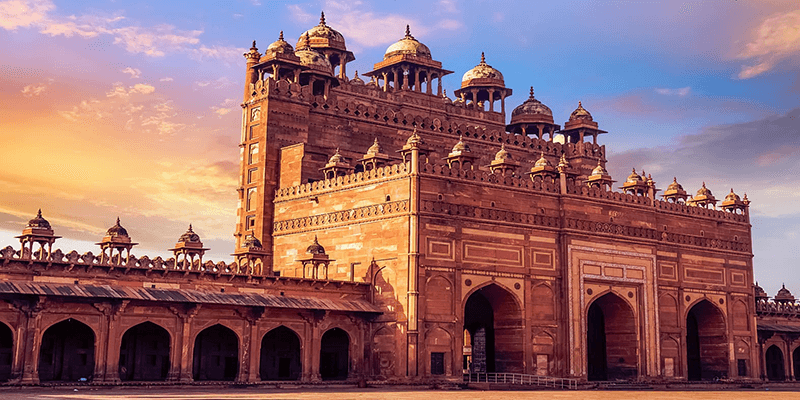 Those great Mughal emperors were known for their affinity to art and architecture, they used the landscape of Agra city to build some of their masterpieces. An Agra tour is all about admiring the charms of Mughal architecture. With that thought in mind, we bring 6 Agra tourist places that you simply cannot miss during your trip to this historic city. By Train: Agra Cantonment is the most preferred station to reach Agra and it is well connected by various long distance trains. By Road: Most tourists prefer to visit Agra from Delhi. Both Delhi to Agra outstation cabs and buses are available from Delhi. It is a pleasure to ride through NH2 (or Taj Expressway). Words certainly fall short when it comes to describing the most beautiful monument in the world. Shah Jahan, its creator, had once said that the Taj “makes the sun and the moon shed tears from their eyes”. This symbol of love is one of the Seven Wonders of the World and quite rightly so. Agra Taj Mahal is the epitome of Mughal architecture and is today a UNESCO world heritage site. Finest marbles brought from Rajasthan adorn this monument. It took about 17 years to complete and hundreds of expert architects worked on realizing the dream of a monarch. If the white marble grabs your attention from a distance, it is the intricate floral designs that mesmerize once you take a closer look at the monument. Sitting on an elevated platform, in the midst of a beautiful garden, overlooking the Yamuna River – a sight of the Taj Mahal would turn even your mundane day into a memorable one! Watching the Agra Taj Mahal on a full moon night is something surreal and you should plan for such a visit. Entry fee: INR 50 for entry and INR 250 for a visit to main mausoleum. The next stop on your Agra tour would definitely be the Agra Fort or Lal Quila. Situated at a distance of 2.5 KM from the Taj Mahal, this fort is an example of Agra’s rich past. The daunting structure and a wealth of history has earned the Agra Fort an entry into the list of UNESCO world heritage sites. Agra Fort was built in 1573, by the most reputed Mughal Emperor – Akbar. This fort and the palace within served as the place of residence for the Mughals till 1638, after which the capital of India was shifted from Agra to Delhi. 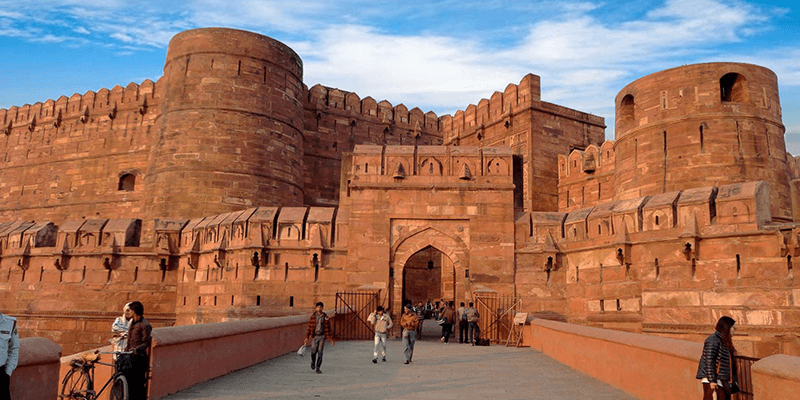 Built with red sandstones, Agra Fort almost has a city inside it. Today, there are many eminent structures within the fort that form a part of the Agra tourist places. Some of the must visit monuments within the Agra Fort include Pearl Mosque, Diwan-I-Khas, Diwan-I-Aam, Moti Masjid and Jahangiri Mahal. Every monument comes with a distinct flavor and essence. From the ramparts of the Agra Fort you get a great view of the Taj Mahal as well. Referred to as the “Baby Taj Mahal”, due to its striking similarity to Taj Mahal, Itimad-ud-daula’s Tomb is another prominent stop on an Agra tour. This tomb is made entirely of marble and was built in memory of Mir Gheyas Beg, who was a minister in Emperor Shah Jahan’s court. The architecture of Itimad-ud-daula’s Tomb expresses the transition from the first phase of Mughal architecture into the second. The use of pietra dura, pictorial mosaic work with semi-precious stones was first carried out here. It was also the first monument to be built on the banks of Yamuna River. 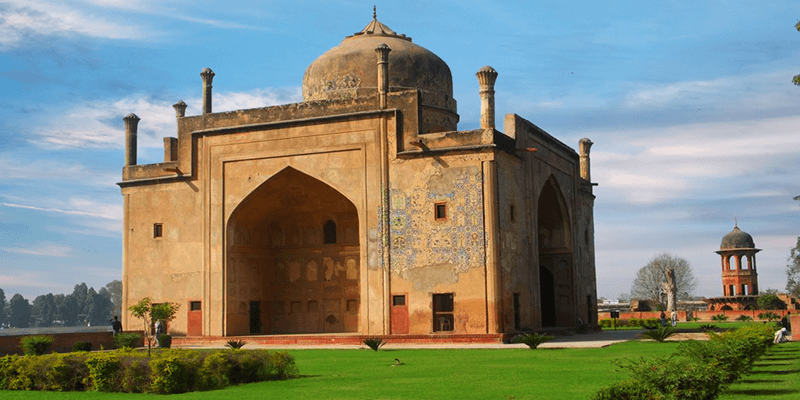 After taking a sneak peek into the Mughal architecture’s stunning transformation, make your way towards Chini ka Rauza, which is about 1 KM away from Timad-Ud-daula’s Tomb. It is dedicated to the Prime Minister of Emperor Shah Jahan’s court – Allama Afzal Khan Mullah. Situated on the eastern bank of the Yamuna River, this place is also called the China Tomb. The monument is a fine fusion of the Indo-Persian style of architecture. Though it is not often included in the usual tourist trail of Agra, but whosoever visits this monument is left surprised with this unusual monument. Chini ka Rauza is decorated with glazed tile works that were imported from China, hence the name China Tomb. Situated at a distance of 56 KM from Agra, Fatehpur Sikri was a city founded in the 16th century by the Mughal Emperor Akbar. Monuments within Fatehpur Sikri were constructed using red sandstone. Now a UNESCO world heritage site, Fatehpur Sikri served as the capital of India for 15 years. Akbar built this beautiful city to honor Sheikh Salim Chisti, whom he highly revered. Some of the remarkable monuments within Fatehpur Sikri include Jodha Bai’s Palace, Naubat Khana, Khwabgah, Birbal’s house, Pachisi Court, Daftar Khana, Hiran Minar, Mariam-uz-Zamani’s Palace, Buland Darwaza, just to name a few. There is also a mosque within Fatehpur Sikri that has been constantly in use since the Mughal days. Apart from this, the city is decorated with lavish palaces dedicated to Akbar’s three wives – a Hindu, a Muslim and a Christian. Photographers have a field day at Fatehpur Sikri while the history buffs are left awestruck. Tip: Do carry water and eatables as you will consume a lot of time to explore this place. After you have finished the exploration of Fatehpur Sikri, head towards Akbar’s Tomb on your way back to Agra. 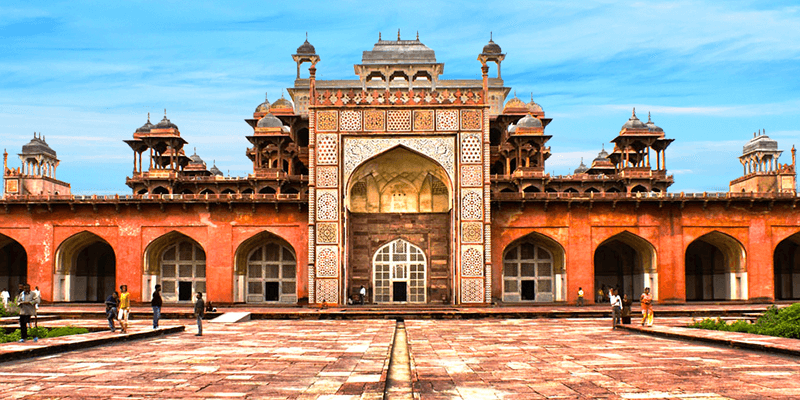 This architectural wonder holds the remains of the greatest Mughal Emperor – Akbar. Unlike the tombs of other Mughal emperors, this tomb does not face towards Mecca. Rather Akbar’s tomb faces towards the rising sun, symbolizing his liberal thought process. 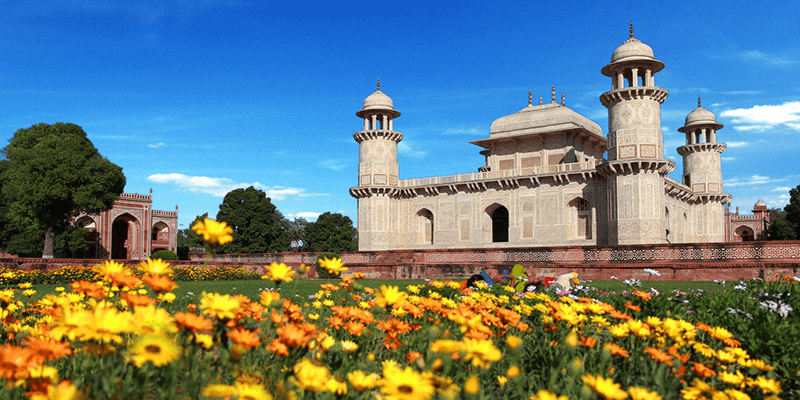 The garden around this tomb is said to have been designed by Akbar himself and is spread across 119 acres of land. The tomb underwent a major refurbishment during the British Raj. Entry fees: INR 15 (for Indians), INR 110 (for foreign nationals). The markets of Agra are popular for their leather goods and shoes in particular. 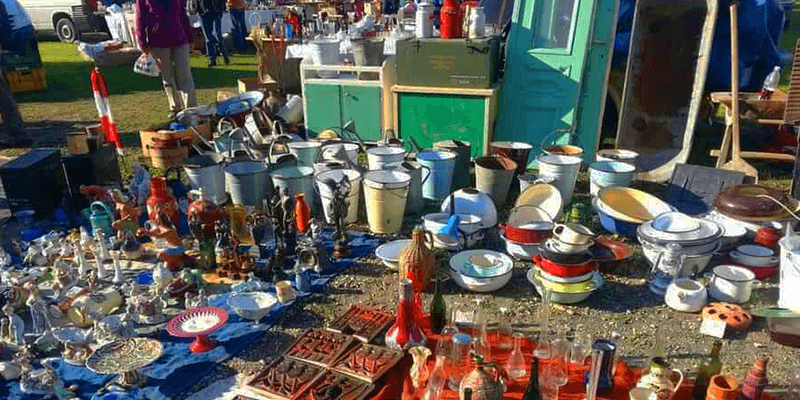 Sadar Bazaar, near Agra Cantonment, has many stalls laded with leather goods, handicraft items and garments. While Subhash Bazaar, near the northern edge of Jama Masjid, is well known for its silk products and silk saris. Kinari Bazaar, located near Jama Masjid, is the best place to buy some marble and glassware goods. Agra city is filled with many historical marvels. It is a destination that delights the history buffs, intrigues the architecture students and keeps the keen travels glued. If you are planning an Agra tour, do care to use the travel services of RailYatri to make your trip rewarding. Previous article6 Hidden gems of Palamu you must shortly visit! Next article10 Train ticket transfer rules you never knew before!